FishMax - THE Australian Online Fishing Magazine: Jimmy Barnes on the Best Fishing Spots in the World! 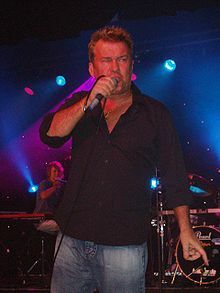 Jimmy Barnes on the Best Fishing Spots in the World! 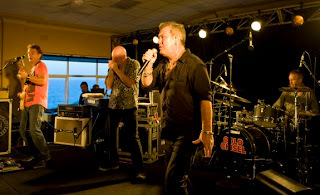 The one and only Mr Jimmy Barnes recently took time out from his always busy schedule (he is currently travelling Australia on his “Rage and Ruin” Tour and Cold Chisel performed at Shellharbour Workers Club in September and Delliquin Ute Muster in October) to answer some questions exclusively for FishMax. It's clear that, like us, the working class man himself loves that great pursuit that makes all men equal - fishing! He might have been born in Scotland with the name James Dixon Swan but we know him as Barnsey and he is definitely one of Australia’s favourite sons (for those of you who care about these sorts of things, Barnes took his step dad’s name after his mother remarried) and it is clear that Australia is where his heart lies. He's not afraid of looking to other parts of the world when it comes to how to eat his catch. “I'm a pretty good Thai cook” he says, “ so I’m very fond of just frying the fish in very hot oil and eating it with Nam Pla (fish sauce) and hot chilli and rice . His other choice is “baking [the fish] in foil with soy sauce, ginger and shallots”. 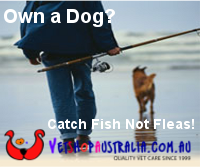 Jimmy tells us that “Nothing tastes better than a fish you've just caught." And the final word from the man who has belted out the songs that many (myself included) consider define a generation? “I don't get to go fishing enough , does anybody get to go fishing enough ?". If that was a song, I'd download it from iTunes! As for Cold Chisel, If you missed them at Shellharbour or the Deniliquin Ute Muster earlier this year, Jimmy has confirmed that the band is working on new material for the first time since the late ‘90s and are looking at a tour in 2011.